1 ) Question: I am unable to send the information using the form. Is there any other way to submit county activations? Answer: You can send the same information in the form to info@ksqsoparty.org. Any other web site issues should also sent to that e-mail address. 2 ) Question: Why is the QSO Party not running for a full 24 hours? DX stations need Kansas counties. Answer: We noted that not many stations that sent logs worked the contest at night. Only logs with valid times between party event times are counted. 3 ) Question: What logging software is available with Kansas QSO Party data? 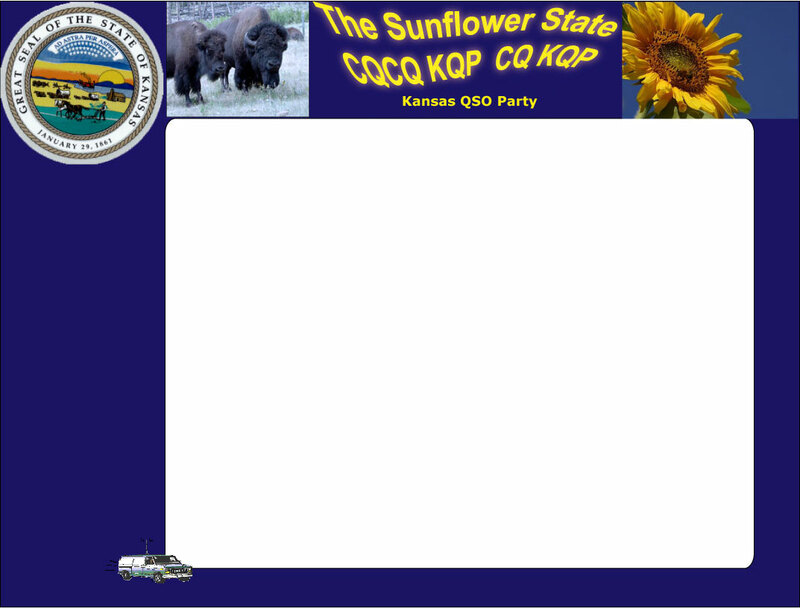 4 ) Question: The map of Kansas is not colored in this year. Why was it changed? Answer: Now you can use it to mark counties that you have already worked so you know when you have a clean sweep! 5 ) Question: I am hearing Kansas 1x1 calls prior to the KSQP on Saturday. Can I count those contacts for the Kansas QSO Party Certificate? Answer: The 1x1 operators got their calls a day or so early to help promote the event. Only contacts during the Kansas QSO Party itself count for the certificate.